It's not just hardware itself that is becoming more environmentally friendly; now Ethernet switches, routers, desktops and servers look set to become greener too. The IEEE 's Energy Efficient Ethernet (EEE) group is looking into how to slash Ethernet's power requirements using a technology called Rapid PHY Selection. The group says the reduction in power could save $450 million (£226.7 million) every year in electricity costs. The big question, however, is whether this will bring about any additional costs, in terms of more required support, lower productivity, or higher costs of adding the new technology to the hardware. The EEE said Ethernet consumes power at different rates; the faster the link, the more power is consumed even when no data is being transmitted. As computers are often idle, with data transmitted during very short bursts, the EEE is trying to find out how the speed and power use could be used to reflect the requirements in bandwidth. Powering the Ethernet connection down to 100Mbps (from between 1Gbps and 10Gbps) when the computer is idle would draw less power, which brings about lower electricity bills. 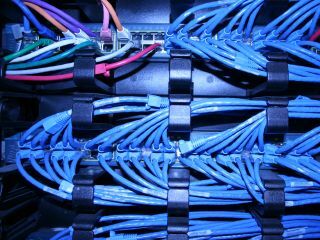 If 10Gbps uses about 10W for each of the two ends of the link, 1Gbps uses about 2W per end, and the cost of electricity is eight cents per kilowatt hour, you could save $5.60 (£2.82) per link per year if the computer is in power-saving mode for 50 per cent of each day, the EEE said. The EEE said the final approval is unlikely before late 2009.